Liz Gerber is the Breed Junior Chair of Design in the McCormick School of Engineering and School of Communication at Northwestern University and the founder of Design for America. Her work focuses on the study and design of organizations and technology to empower innovators. This year, she was recognized by Crain’s BusinessWeek as leader of innovation in Chicago and received the IEEE Computer Society teaching award. Her work has been awarded at the MacArthur Digital Media and Learning Competition, National Collegiate Inventors and Innovators Alliance, Core 77, and Ashoka, and featured in such venues as Wall Street Journal, NPR, ABC, Harvard Business Review, Forbes, and Fast Company. Liz holds an M.S. and Ph.D. from Stanford University and a B.A. from Dartmouth College. 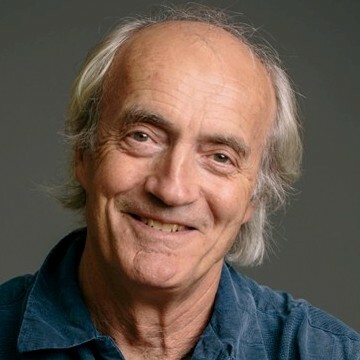 Bill Buxton is a leading interaction designer and researcher. He is Principal of the Toronto-based design and consulting firm, Buxton Design. Bill is one of the pioneers in computer music, and has played an important role in the development of computer-based tools for film, industrial design, graphics and animation. As a researcher, he has had a long history with Xerox’ Palo Alto Research Center and the University of Toronto (where he is still an Associate Professor in the Department of Computer Science, and Visiting Professor at the Knowledge Media Design Institute). During the fall of 2004, he is also a lecturer in the Department of Industrial Design at the Ontario College of Art and Design.